Add basic stage lighting package consisting of 4 x LED parcans on a stand to light the band's performance. It was amazing having you play at my party. You made my day very special for me, my friends and my family. Best party ever! Hopefully see you soon in another party soon. 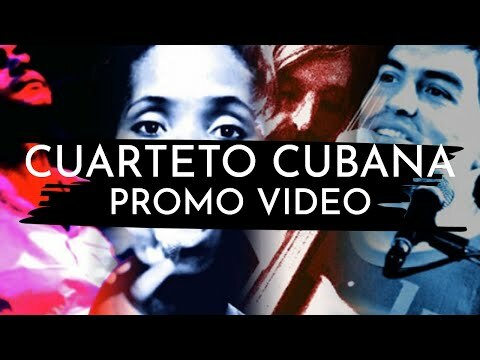 Cuarteto Cubana is a Cuban, Salsa and Latin band based in Brighton, East Sussex and one of the UK's leading exponents of Cuban Sol, Salsa and Latin music. 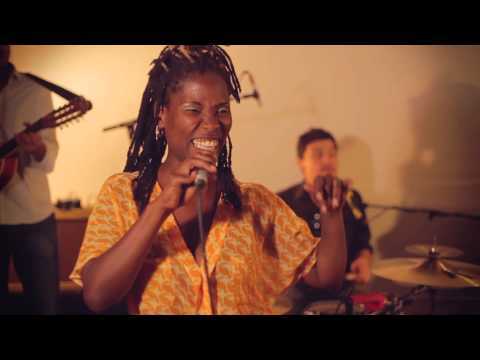 The band is fronted by female vocalist Adriana who is originally from Havana, Cuba. 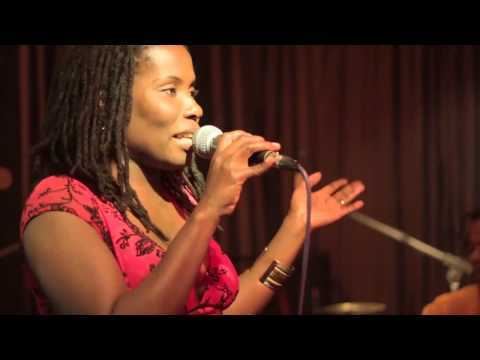 She has performed on the Havana music scene for over 10 years working with Cuban music legends such as William Vivanco, Eliades Ochoa (from Buena Vista Social Club) and NG La Banda. All of the band members have worked at the top end of the Latin music scenes in Cuba, Spain, Columbia and of course the UK. Cuarteto Cubana is perfect for all types of event having played concerts and festivals as well as private parties, weddings and salsa classes. They never fail to get audiences onto the dance floor with their charismatic stage performance and exciting repertoire of Son, Salsa and Afro Cuban music. The band is based in Brighton in East Sussex and is therefore superbly located for events in southern counties including Kent, West Sussex, Hampshire, Surrey, Essex and Dorset. The can also easily travel into central London for events in the capital such as corporate events. Born in Cuba in 1977, Adriana has been an important part of the Havana music scene since the early 90s where she worked prolifically before moving to the U.K. in 2010. The list of top musicians with whom she has sung is seemingly endless and includes Robert Aaron, Danny Rivera, William Vivanco, Eliades Ochoa (Buena Vista Social Club), Ogguere, DJ Joy, Diana Fuentes, Vocal Catarsis, Vocal Luna, Frank Fernández, Néstor del Prado, Raúl Verdecia, Emilio del Monte Jr. Emilio Vega, Schola Cantorum Coralina, NG la Banda, Pura Ortiz, Beatriz Corona, Julio Rigal, Jeffrey, Richard Thomas-Rodríguez, David Hernández to name but a few. 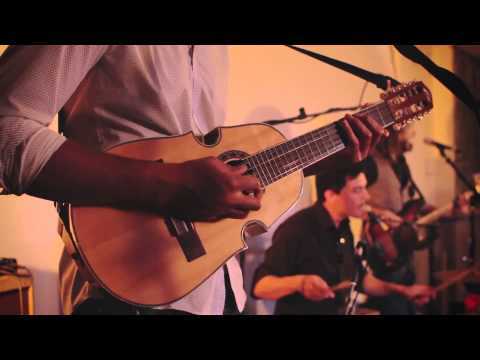 Luke is experienced in playing a wide range of musical styles including Jazz, Latin Music, Funk and Afrobeat. He has travelled throughout Cuba studying various its musical styles as well as going to his fathers native Ghana to study the roots of African music. In addition to playing with Cuarteto Cubana he is a member of jazz trio ‘The Org’ with Terry Seabrook (Cubana Bop, Milestones), Afrobeat Band ‘Kalakuta Millionaires’ and has recently toured with the Paul McIntyre trio. Eddie has been a professional bassist for more than 15 years, playing in all sorts of musical contexts throughout the UK and across the world in the USA, Australia, Europe and the Middle East. Eddie's studied and played the Afro-Latin styles of Cuba and Brazil and maintains close links with both countries. He plays bass with Turin Brakes as well as leading his own Jazz quartet. I just wanted to mention that Cuarteto Cubana were fantastic at the wedding on Saturday night. They were lovely to deal with on the day, but more importantly just a brilliant band! Everyone thought they were great and they managed to strike the perfect balance of filling the room with sound and getting everyone dancing but without demanding too much attention. The P.A. was good quality too which was awesome for playing our own tunes through between sets. Thank you so much, you made the party absolutely unforgettable. My comrades are still raving about it. Brilliant!... The customers absolutely love the music every time we book them.